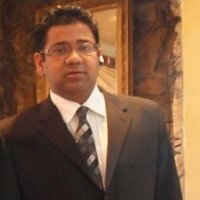 Abhijit Dey is the Vice President of Storage Engineering at Veritas. He currently leads SDS and Storage engineering solutions and is responsible for SDS, NAS, HyperConvergence, Object storage products for on-prem, hybrid and public clouds. Abhijit has worked in the storage industry for more than 20 years and is a technologist at heart. His key focus areas are enterprise adoption in Virtualization, OpenStack, Containers, Storage and Cloud. Abhijit is interested and has been part of the OpenStack community since the emergence of OpenStack and is always thinking about the next cutting edge innovation in the enterprise cloud ecosystem. Deep Dive Into VM Live Migration in DAS Environment.